How Long Do Amphetamines Stay in Your Urine/Blood/Saliva/Hair? Amphetamine’s half-life is under 11 hours (that is how long it takes for the body to eliminate half of the ingested amphetamine). Chronic use, however, can be detected up to one week after the last use. Type of amphetamines used: Amphetamines have many street names and exist in numerous forms – legal and illegal, some more potent than others. Age and metabolism: The younger the person, the faster their metabolism rate and amphetamine elimination are. Body fat percent: Fat accumulates toxins from the body and acts like a sponge on amphetamines. Kidney and liver function: Proper kidney and liver function is crucial for toxin clearance from the body. The frequency of use: More time is needed for the body of heavy users to process amphetamines than one time users. Routes of ingestion: Smoking, injecting and snorting fastens amphetamine effects, but also makes the elimination process faster. Amphetamines are members of a chemical family of phenethylamines, whose members may be stimulant or hallucinogenic substances. Since amphetamine has a weak base (lipid soluble), when the body’s pH within alkaline limits (0-7), more of it is absorbed via lipid-rich cell membranes of the gut epithelium after ingestion (“Adderall XR Prescribing Information” United States Food and Drug Administration. Shire US Inc. December 2013). Further on, amphetamine enters the bloodstream and binds to plasma proteins at a certain level (15-40% of amphetamines). Plasma concentrations of amphetamine occur in 3 hours after ingestion. Finally, this chemical substance is eliminated via kidneys, where urine pH determines its half-life (alkaline urine prolongs the period needed for amphetamines to leave the kidneys). How Long Does the Amphetamine Effect last? The effects vary from person to person, and the key factor is the amount taken and the ingredients used to make Amphetamine. If one takes one dose of amphetamine, he/she will experience its effects between 30 minutes to 4 hours after use, although residual effects last longer – 3 to 12 hours, even for a few days. A commonly used drug test, since kidneys filter toxins from the body. The testee is asked to urinate in a cup with their name on it. The urine is then tested on the spot. Amphetamine Screen (Blood) test measures the amount of amphetamine in the bloodstream. A health professional draws the blood and sends it to a lab for testing. A small sample of the subject’s hair from the scalp line can be used to detect the presence of amphetamine in the body. The easiest amphetamine presence test to perform is by using a saliva swab. 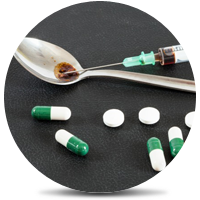 Addiction Resource » Addictive Substances: The Anatomy of Drug Addiction » Key Facts About Amphetamine Addiction: Signs, Effects, Statistics, and Treatment » How Long Does Amphetamine Stay in Your System? My friend smoke ice after 4years for 36 hours on and off. How long will it stays in this body system? How long will it be in urine to detct?